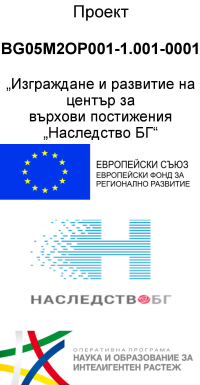 This is a scientific research project entitled “Promoting Research in Priority Areas” (“THEMATIC COMPETITION”) – 2008, conducted by the Bulgarian National Science Fund and funded on a competitive basis. The main objective of the project is related to the research of written monuments from 13th to 18th centuries. Study of the analytical inventory of Slavic manuscripts from the Ecclesiastical Historical and Archival Institute of the Patriarchate of Bulgaria.The collection has not been fully inventoriedthrough scientific methods, and the new inventoryinvalidates to a great extent earlier observations and conclusions. For the first time the inventory will present in full one of the most valuable and at the same time least known collections of Slavonic manuscriptsstored in the Ecclesiastical Historical and Archival Institute of the Patriarchate of Bulgaria. The manuscripts represent all famous literary schools in Bulgaria from the period between the13th and18th centuries, as well as many literary schools from Macedonia, Serbia, Wallachia, Moldova and Russia. Restoration of the written monuments of the manuscript collection in critical condition. Documenting and widening access to the unique collection through digitisation and presentation of the written monuments on the Internet. Presentation of valuable manuscripts of the Ottoman Empire from the 15th century, stored in the Oriental Departmentof the St.St, Cyril and Methodius National Library(there aren’t many valuable sources of information on the early era of Ottoman conquest and the establishment of new governance). During the first stage of the project all the tasks set out in the plan have been fulfilled. A total of 127 written monuments from the13th to 19th centurieshave been inventoried – manuscripts from the Ecclesiastical Historical and Archival Institute of the Patriarchate of Bulgaria.A physical description of the manuscripts has been made; they have been dated; the script has been analysed; their content has been fully disclosed, unknown texts have been published; the binding and decoration of the manuscripts have been inventoried.A bibliography and a special archive have been collected. A list of the most endangered written monuments has been made. The inventory has been edited and prepared for publishing. Introductions have been written in Bulgarian and English, as well as indices, tables, paleographical and philigranological albums for the inventory. Prof. KlimentinaIvanova – external editor, carried out a scientific editing.The first volume of the Slavonic manuscripts, stored in the Ecclesiastical Historical and Archival Institute was published – Borina Publishing House, Sofia, 256 p. andAlbum of Paleography. It contains a complete scientific description of the biblical books in the collection. During the first stage 11 manuscripts and 1963 manuscript paper sheets have been restored, exceeding the 1,800 planned.Conservation and restoration treatments of paper, leather and wooden pads have been carried out;protective boxes have been made;clasps, straps and bindings of manuscripts have been restored. 1755 files have been digitally photographed. Eight manuscripts have been fully digitised–the Four Gospels, some of the most skillfully embellished manuscripts of the collection.The material is provided with metadata and will be published in the Digital Library. On October 23rd an International Round Table was held at the National Library entitled “The Ottoman Registers in the 15th Century as a source for the history of the Balkans under the Ottoman rule”under the patronage of Prof.Halilİnalcıkand Prof. V. Mutafchieva. On May 20th and 21st of 2010, the National Library held a self fundedScientific Conference “The Etropole Literary School and the Cultural Life in the 17th Century in the Bulgarian Lands”. Young scientists carried out a range of research activities: they made detailed studies of the bindings and the metal fittings in terms of technology and art history analysis. Over the past period 4 articles and 6 scientific reports and preliminary reports have been published. For the first time in Bulgaria, the National Library started the “Adopt a Book”initiative by including manuscripts from the Ecclesiastical Historical and Archival Institute. The project proved to be of scientific significance: as a result, the manuscripts were inventoried for scientific use, new translations and translations of already existing texts were found, analysed and published.It contributes to the protection of the literary heritage as well as to the cleaning, restoration and proper preservation of one of the most valuable Bulgarian medieval manuscript collections. The project is of practical significance too –it gives access to all users and allows the collection to be used for different purposes.The promotion function of the project is also evident – it contributes to the dissemination of the contents to a bigger audience; methodical significance: the work serves as a model for processing, disclosure, and storage of other similar collections that have no scientific inventory and are not stored under appropriate conditions. Publish two collections of conference papers from scientific conferences held within the project.